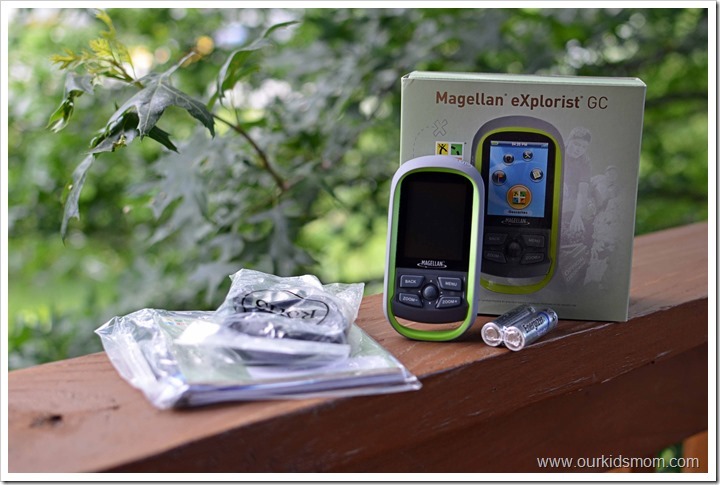 Disclosure: We received a Magellan eXplorist GC GPS courtesy of Magellan. All opinions are our own. My husband and I started geocaching over ten years ago. It was (and still is) a fairly inexpensive form of entertainment, you spend time outdoors in the fresh air, the scenery is oftentimes breathtaking and you get to explore areas near you that you hadn’t realized were there. And sometimes, there is the added bonus of a goodie swap at the completion of the find! That’s why I was excited to be offered the chance to review the Magellan eXplorist GC. Whether you’ve had had thousands of finds, or you’ve just started researching geocaching, the Magellan eXplorist GC is built for a premium experience with all of the tricks of the trade. 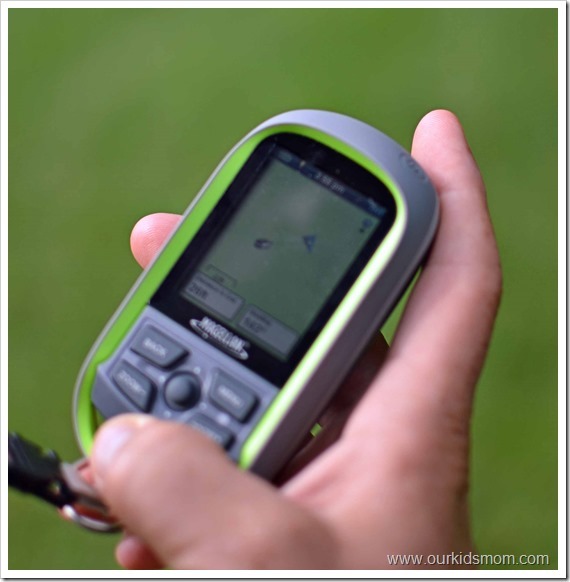 The eXplorist GC has many features to make your geocaching adventures even more fun and efficient! A fresh new menu, with big easy to read tile buttons and added joystick and button functionality are just the start. A new streamlined geocache and waypoints menu and child waypoints that can be seen directly in the geocache instead of having to go to a separate waypoints list, and the new preloaded maps now have shaded relief for easy terrain assessment. Probably most important, eXplorist GC supports paperless geocaching, which allows you to download more than 20 unique characteristics of each cache, including name, location, description, hider, size, difficulty, terrain, hint, spoilers, attributes, and last 20 user logs among a number of other details. This eliminates the stacks of papers my husband and I used to lug around with all of this information. Free 30 Day Premium Membership to Geocaching.com – Download GPX files, create your own Pocket Queries, and get tons of other premium membership features. Pre-Loaded with the Most Popular Geocaches – These caches have been found more than any others! Get a complete out-of-the-box experience by searching and finding the top geocaches in your region! Geocache Awards – Keep track of all your finds and receive special awards based on number of finds, types of finds, and other interesting combinations of actions. The more you find, the more you are rewarded! It easy to customize your geocaching experience with caches that meet your specific criteria, the eXplorist GC has seamless connection to geocaching.com. This allows you to search more than one millions caches worldwide, imagine geocaching during a road trip (great way to stretch your legs) or on vacation. With a click of the mouse, you can transfer the information with the “Send to GPS” feature. Better yet, with a Premium Membership to geocaching.com, you can create custom Pocket Queries and update your device with fresh cache information easily on a weekly basis. To get you started, the eXplorist GC comes with a free 30 day pass to geocaching.com premium! You can program as many or as few caches as you want. Load it up and slowly go down the list, or pick and choose just a few for the day. The device can hold up to 10,000 geocaches so you can continue to load new caches for each and every new adventure. Searching for the right cache is easy by setting your search preferences: by nearest, by name, by type, by date, or by geocache ID. Also, you can customize your cache list. For example, show all regular size, traditional type caches that have not been found. As you can see from above, reading the GPS is fairly simple. You will notice a little arrow on the display as well as distance and which direction. Follow the directions as you hike until you are a few hundred feet from your goal. From our experience, that is the time to start hunting in obvious places for a cache… like under a dead tree, in a hollowed out trunk, under a bush etc. 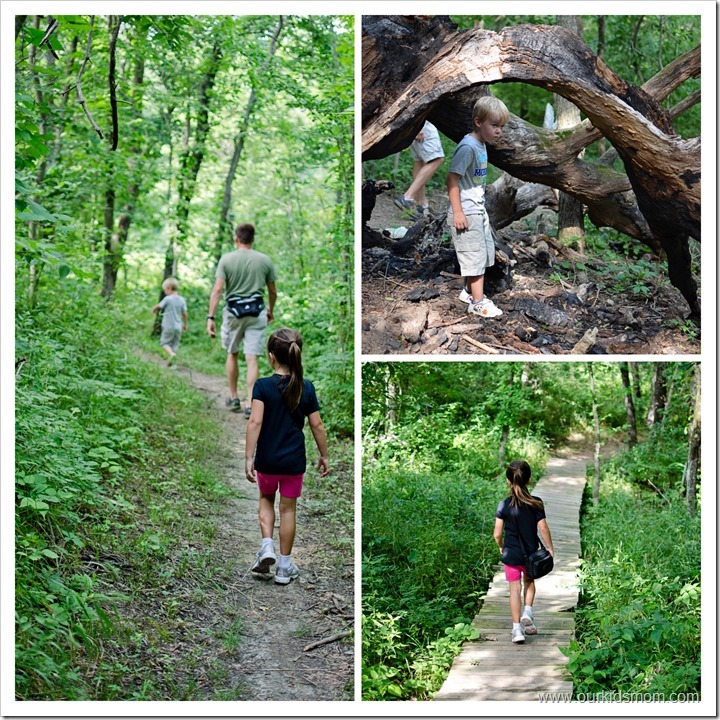 Our family loaded the eXplorist GC with a couple of caches and went for an afternoon hike in the woods. Be sure to read all the descriptions, as several caches require bush wacking and I’ve even been on a couple that required a steep hill climb! Most, like this one, are on established paths that take you through a park near you. 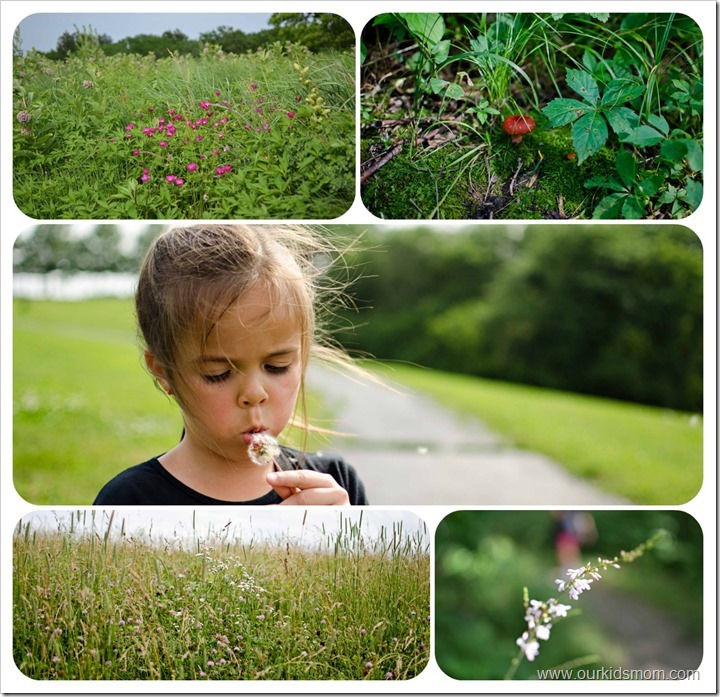 It was a beautiful day and the kids were enjoying the wildlife and scenery as we walked along. They were full of questions and exclamations as we walked and I thoroughly enjoyed the time to connect with them. If your hunt is for a micro-cache, be prepared for a fairly small container that has a log in it to sign. The thrill of these caches is mainly the “find”. If you are hunting for a regular cache, you will possibly find Rubbermaid containers or even ammo boxes like the one we found above. These generally have a log to sign, as well, but are also packed with goodies/swag to trade. Be sure to bring a few items along to swap… you don’t want to deplete the supply! You would have thought the kids won the lottery with their reactions to these little prizes… Ethan especially loved his little plastic dinosaur and Emma her little kaleidoscope. To be, it’s about the time to connect, enjoying nature and enjoying the silence. The Magellan eXplorist GC was simple to use, compact to hold/carry around our necks and was the perfect addition to our family day out. Consider the price point as a one time investment that will provide hours and hours of enjoyment… it’s a steal. Geocaching sounds so fun! I will have to try this as I have friends who rave and do it often! I have only heard of geocaching in the last year or two and haven’t tried it. It sounds fun! 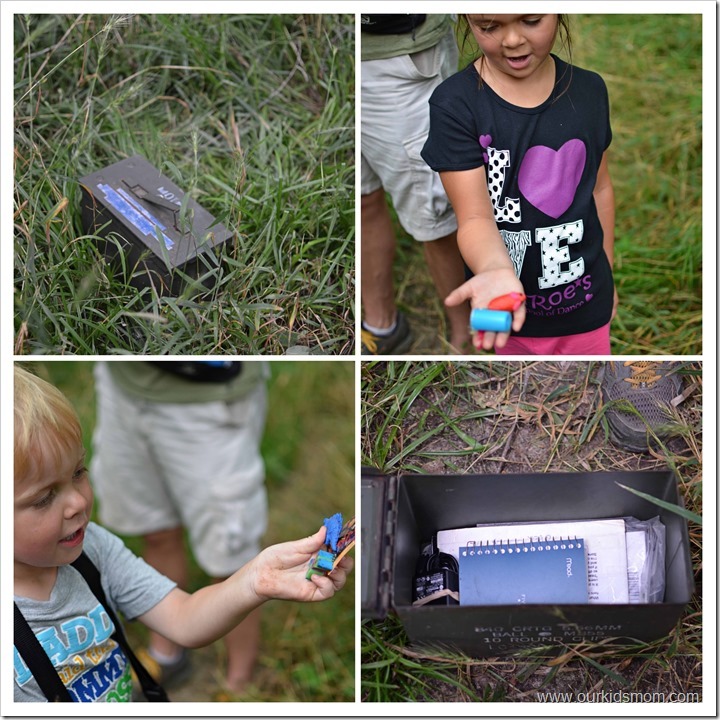 Geocaching sounds like so much fun! Seriously a blast! 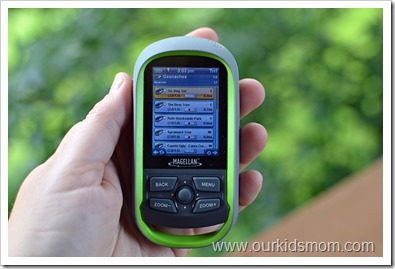 And even better with this awesome magellan geocaching GPS! I wouldn’t even know where to start without one! This looks like so much fun! We have never geocached before, and I really did not know what it all entailed. I love that there are little “prizes” at the end – like a treasure hunt!! I bet my daughter would love this! This is so cool! My nephew has gotten into geocaching and has been posting pics on FB of his finds! It is very interesting! I’m going to let him know about this, as he likes to be knowledgeable about his new hobby! I just downloaded a geocache app for my iphone. My daughter and I went exploring for our “treasures”. It was so much fun! 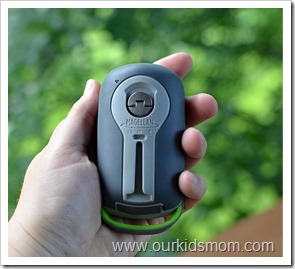 What a really nice Magellan Geocaching gps for outside. I can do so much fun stuff with this app, and my nephew and niece would love to have this! I am glad you posted this! My husband and I used to geocache before kids and I think my kids are at a great age to do this as a family!